​Jamie Park, a senior at La Cañada High School, will receive the Verdugo Hills Art Association 2017 scholarship at our meeting June 2 at the La Cañada Community Center. She works in a wide range of media, including oil, watercolor, charcoal, pencil and others, and will bring samples of her portfolio to the meeting on Friday. Most of her work is abstract — “I love creating work that I visualize in my mind,” she says. She hopes to teach art to early elementary school students and to illustrate children’s books. One of her recent projects was to create a book for her younger brother, illustrated in the style that a child might use. 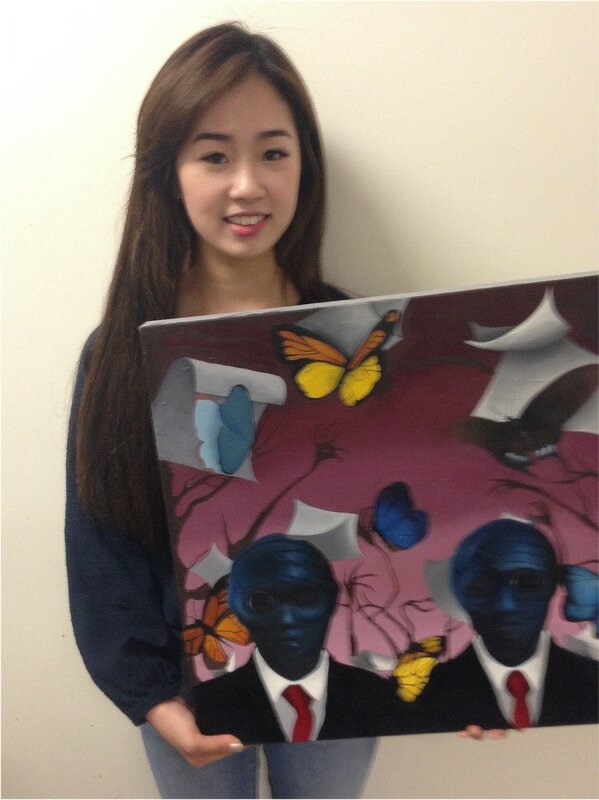 Jamie was born in Korea and came to the U.S. a decade ago for a better education. She lives in La Cañada with her mother and brother; her father remains in Korea where he works in the computer chip industry. Come Friday and meet our new scholarship winner!